This guide will list the places where I found the most [Volatile Fire]. One thing I noticed while farming Volatile Fire is that sometimes you farm for 15 minutes and you don't get a single Volatile, this is just bad luck, don't get discouraged. Fishing in Pool of Fire at Twilight Highlands is the best place to farm Volatile Fire. If your fishing skill is only 1, you can still fish in Pool of Fire. Each pool contains 2-4 catches, each of which will be 1 or 2 Volatile Fire. The location have 4 pool spawning points, but no more than 2 pools will be visible at one time, and none may be visible if pools have recently been fished empty. Pools respawn approximately 12-15 minutes. 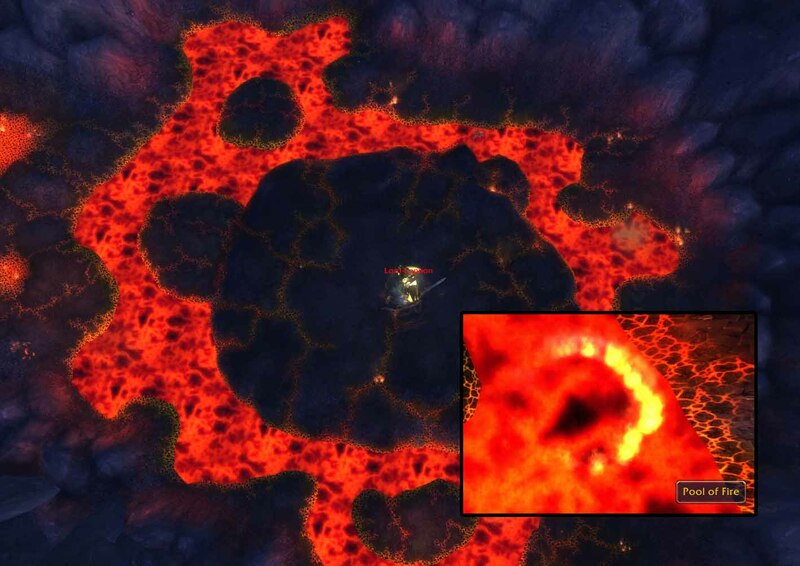 You can find the Pools around Lord Canon, and this is how the Pool of Fire looks like. They are often farmed by other players but if you can do this alone, you will get 100+ Volatile Fire in an hour. Flame Ascendants in Mount Hyjal have low HP and they respawn really fast. There are around 8-9 of these guys at the marked area, you can see the spawn points on the map below, they spawn pretty close to each other. The best way to farm here is to kill 1-3, loot them, then mount up and move to the next spawn point. Just move in a circle around the spawn points. There is also another Pool of Fire location in Mount Hyjal. 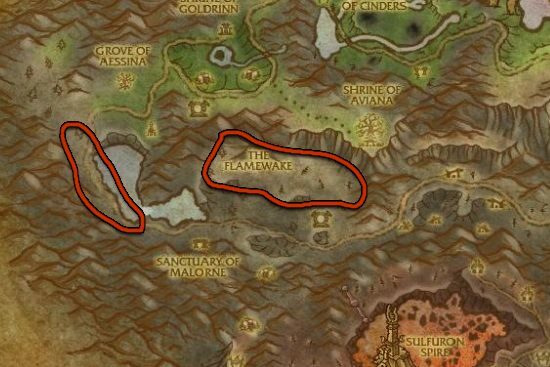 This is a good place for lower levels to farm Volatile Fire because there are no mobs at this area. A good alternative is farming Flame Terrors and Brimstone Destroyers in Mount Hyjal, but you can only see these mobs if you completed the starting quests at Mount Hyjal, and then I think you also need to complete the quest chain Guardians of Hyjal: Firelands Invasion!. Unbound Emberfiends in Twilight Highlands is another good place, these are a lot harder to kill than the mobs in Mount Hyjal if you don't have a high level character.